Basilicata produces less than 1% of Italy’s wine (18th in volume among the regions), with red wine accounting for 80% of its production. The region is characterized by arid hills and desolate mountains that can be cold for a southerly place. However, this particular climate can have advantages for viticulture and produces some enviable aromas and flavors. 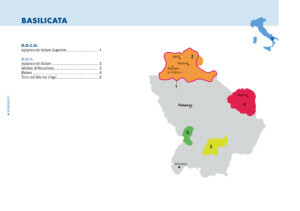 Basilicata has four DOCs: the classic red Aglianico del Vulture and the appellations of Grottino di Roccanova, Terra dell’Alta Val d’Agri and Matera.  Aglianico is one of southern Italy’s finest red wines. The Aglianico vine was possibly brought to Basilicata by the Greeks, perhaps as long ago as the 6th or 7th century BC, although new theories suggest this may be a native vine to Italy. The debate continues. Though often a robust wine that is well-suited for aging, there are also youthful versions of the wine, sometimes semisweet, made as a rosato and even sparkling. Terra dell’Alta Val d’Agri red and rosé are based on Merlot and Cabernet Sauvignon, while Matera uses a range of varieties in its six types of wine, including the red Sangiovese, Primitivo and Cabernet Sauvignon and the white Greco Bianco and Malvasia Bianca di Basilicata.